엄선하여 냉동보관 된 재래김을 두 번 구워 위생적이며 고소한 참기름으로 가공, 향과 맛이 뛰어나며 도시락 반찬 및 식탁용으로 좋습니다. 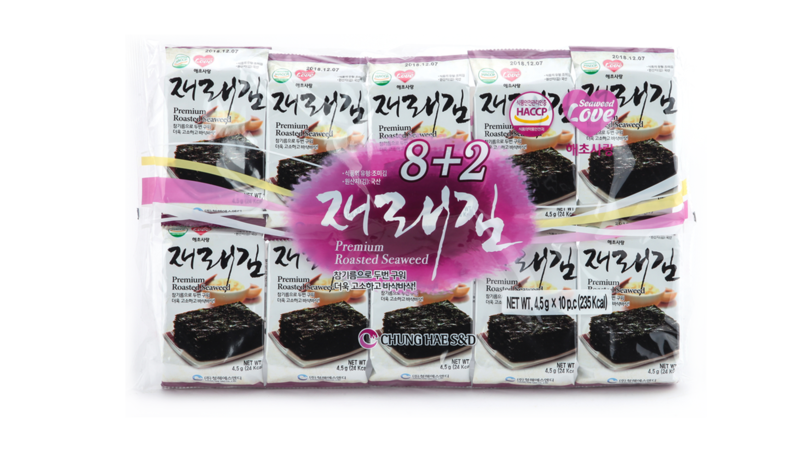 Strictly selected and stored in frozen condition, this traditional laver has been roasted twice with the sesame oil directly made from the company that brings great taste and easily consumed for lunch and other meals. 재래김이 적당한 크기로 절단되어 있어 야외에서 드시기 좋습니다. This traditional laver is cut in proper size that it would be great for outdoor consumption.